​The Enterprise Town initiative seeks to work with local businesses to plan and deliver a range of activities that will support and generate business in the area. The initiative also involves the wider community and the schools to ensure everyone can get involved and be part of the positive experience that is an Enterprise Town. 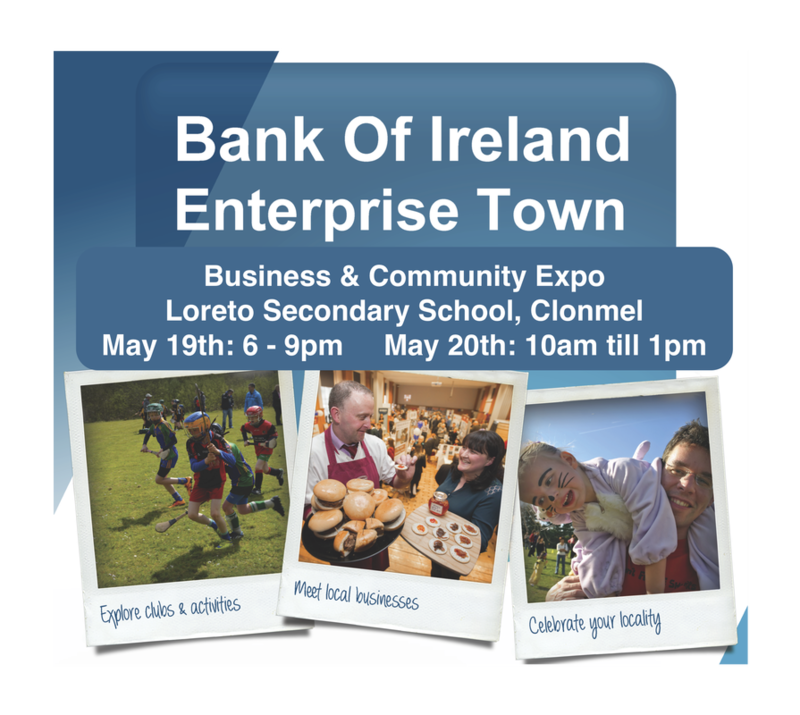 The Enterprise Town event will be hosted at Loreto Secondary school on Friday May 19th with a Business & Community Expo, which allows local businesses to showcase what they do. It is also a chance to network – meet potential customers & suppliers, share ideas, and show the level of enterprise that is right on the doorstep. Organising the Enterprise Town events presents a wonderful opportunity for first and second-level students – in particular those in Transition Year – to gain valuable ‘real world’ experience. These students are a vital part of any community, and it is important to introduce them to enterprise in action and to open their young eyes to exciting opportunities.